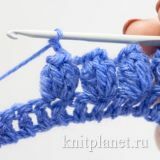 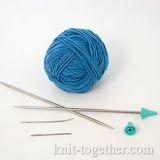 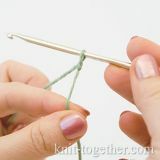 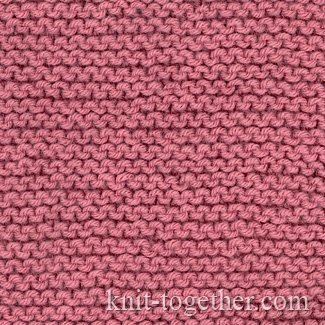 Knit Together | Garter Stitch with needles and knitting pattern chart. 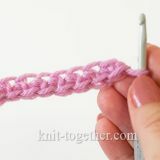 Simple Knit and Purl Stitches. 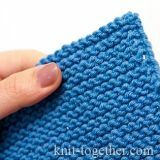 As the name implies, this double-sided pattern has long been used for knitting kerchiefs. 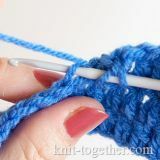 Knitting every row. 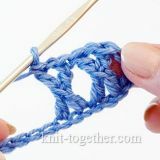 For circular knitting, first row of knit stitches, and second row of purl stitches.